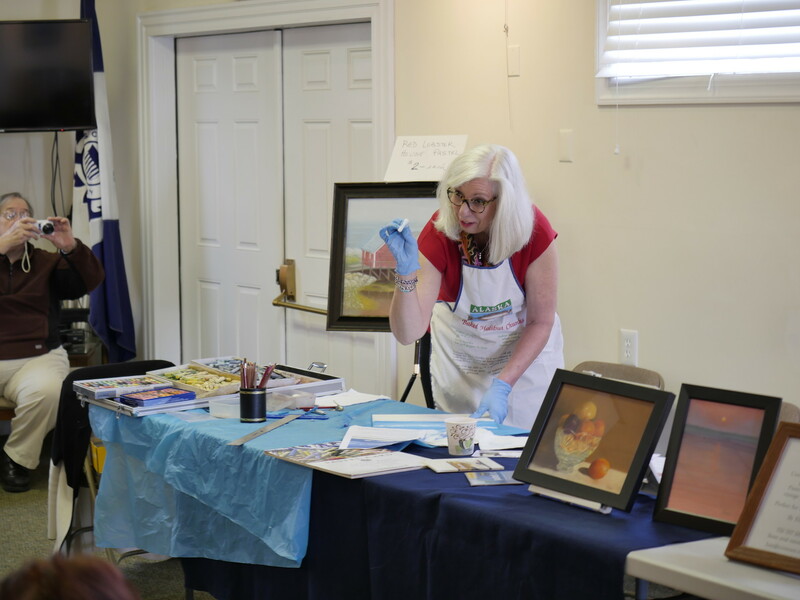 Our mission is to promote the arts and encourage creativity. 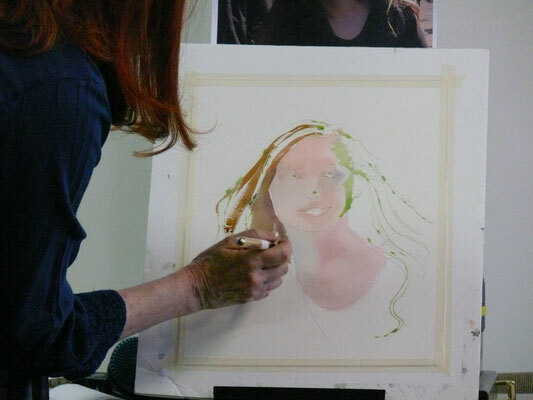 scholarships for college art students. 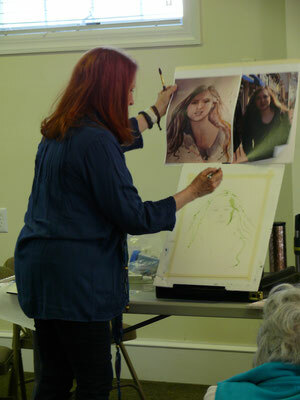 demonstrations by professional artists. We meet monthly during the Fall and Spring. October, November, January, March, April, and occasionally Summer. All exhibits are judged by professionals who award prizes and recognition ribbons. promotion of their shows to our email list. Membership is $30/year for individuals; $40 for families. Our year starts Sept. 1 and ends August 31. Join us! 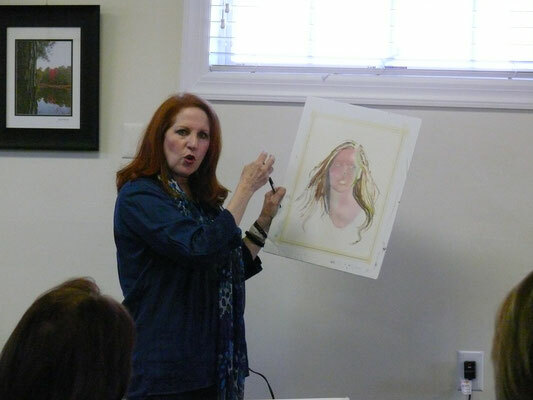 Check out our photos from recent receptions and demonstrations. Thank you to Vince Matulewich for taking them! Here is a list of ways in which to support the artistic and philanthropic methods of the Art Society of Monmouth County. The Art Society of Monmouth County is pleased to announce a $500 Grant to the Brookdale Community College Foundation for an Art Scholarship to a Monmouth County art student with 24 credit hours and a 3.0 GPA. 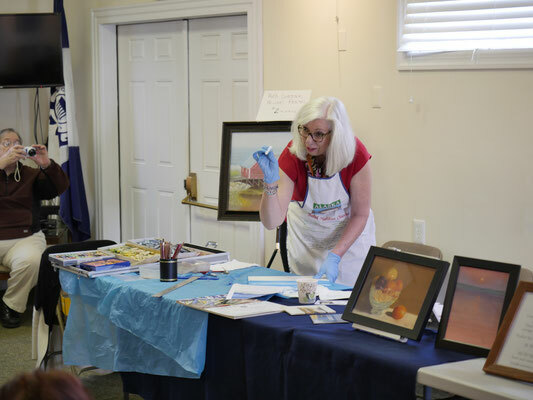 The Scholarship will be administered in the name of the Art Society of Monmouth County during the upcoming academic year. This replaces the ASMC's Annual High School Merit Award. Our 2018 award recipient was Grace Kaja. Congratulations, Grace! 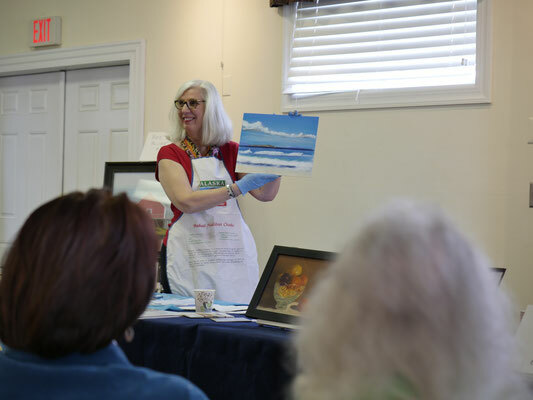 Meetings and Demonstrations are held usually on the third Wednesday of the month from September until May at either the Monmouth Beach Cultural Center (OPEN WED-SAT FROM 10AM-2PM: 732-229-4527) located at 128 Ocean Avenue (corner of Seacrest RD) or the Middletown Township Public Library, 55 New Monmouth Road. Please visit www.mtpl.org for LIBRARY hours.